Playtest the racquet. Click here to order Demo Racquet. 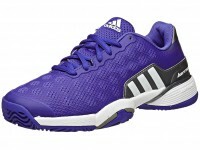 adidas Barricade 2015 Purp/White/Silver Junior Shoes - Increased comfort and breathability help make this shoe one of the top choices for junior tennis players of all levels. 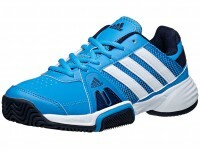 adidas Junior Tennis Shoes India Barricade Team 3 - The Barricade Team 3 Junior is the perfect shoe for the up and coming hardcourt star. 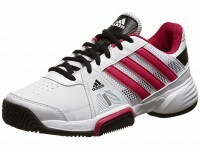 Offering great durability and traction, your young player will move around with court with speed. 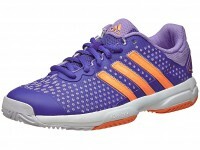 adidas Barricade Team 4 Purple/Orange Junior Tennis Shoes India - Updated with a more new upper, this shoe is more comfortable and breathable than ever before. A great option for the aggressive junior player!